ALICE provides one system for guests, front-of-house workers, and back-of-house staff to communicate and track requests. The unified system means that a guest’s request via a text message for, say, more linens, is conveyed to the right worker. Guests can also order services through mobile apps and other methods too. 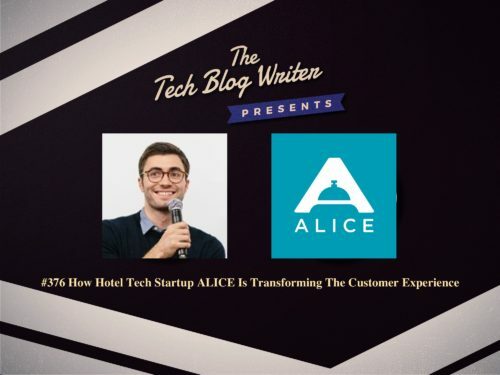 Essentially, the ALICE platform enables each department of any hotel to have eyes and information on any of its guest’s requests. However, it also provides a way for the hotel to reach a higher level of communication and empowerment amongst its employees too. Skift, a company, known for defining the future of travel made their ALICE one of their Top Travel Startups to Watch in 2017 and for a good reason. The company has already raised $26 million in a Series B funding round led by online travel giant Expedia. After learning how guests expect to communicate with hotel staff in the method of their choosing and in a way that’s most convenient for them. I invited Alexander Shashou, Co-Founder, and President at ALICE on the podcast to find out more.